How do I know if I've completed my lessons? Employer or organization sponsored programs have completion requirements. Most employers or organizations that offer the program require at least 2 things. 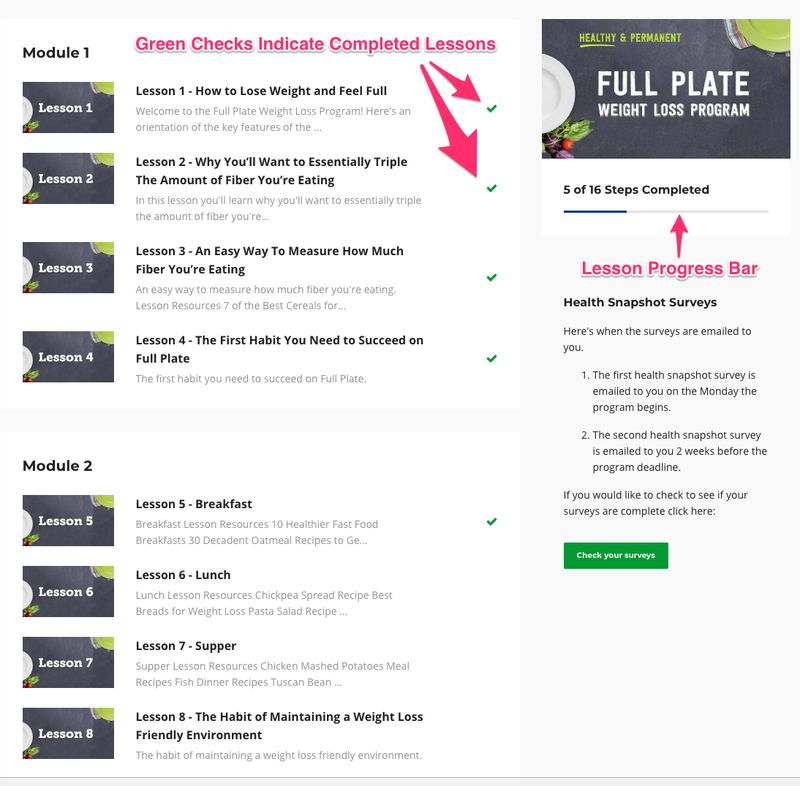 After you watch each video the system records your video progress and will mark the lesson with a green checkmark. There's also a lesson progress bar that indicates your progress through the entire program. When it's at the end, you can know your lessons are complete. The other basic requirement is to complete the Health Snapshot surveys at the beginning and end of the program. Here's when the surveys are emailed to you. The first health snapshot survey is emailed to you on the Monday the program begins. The second health snapshot survey is emailed to you 2 weeks before the program deadline. What happens when you're done with the program? After the program deadline, we compile a report of all the people that have completed the program. The sponsor organization can then apply the benefit they offered for taking the program.